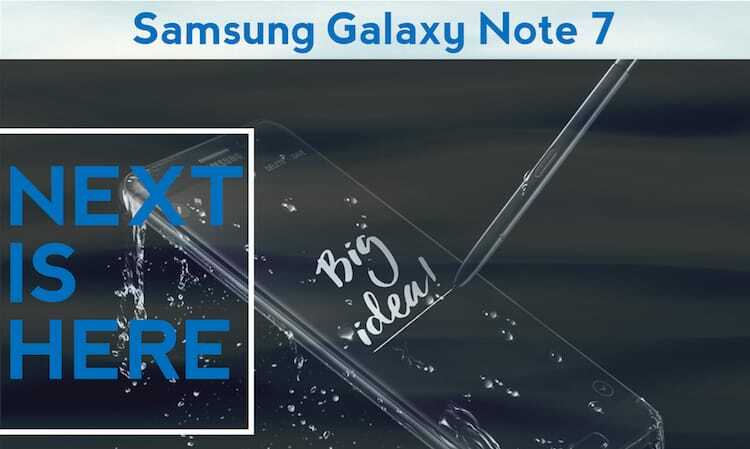 A few days ago we published an article about the expected features of Samsung galaxy Note 7 and now when the phones has been launched, most of our speculations have proven to be right. The phone was unveiled yesterday on August 2nd by Samsung. Samsung Galaxy Note 7 would be available to pre-order in UK from 16th August and will be released on 2nd of September but those who pre-order will receive it on 30th August. Not just this, if you pre-order from a selective store before August 30th, you will get the Samsung Gear VR headset for free. In the USA it is available from August 3rd and will be available on August 19 for the users. In Australia the phone is available for pre-ordering from 5th of August and will be handed over on 19th August. 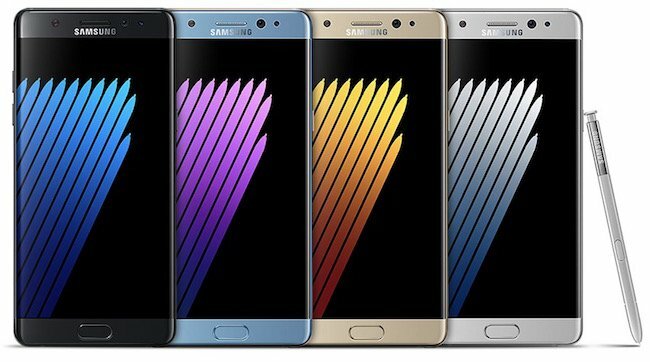 The phone will ship in Black, Blue and Silver variants, but other than USA, Samsung Galaxy Note 7 will come in Gold variant as well. So, we thought to come up with an article that will showcase all the best Samsung Galaxy Note 7 features that makes this phone stand out from the crowd. Let’s look at some of the amazing Samsung Galaxy 7 Features you would love to know about. The Galaxy Note7 S Pen is more than a writing device. It allows users to implement their ideas when they strike without unlocking the screen by pinning the screen off memo. You can make and share unlimited GIF (Graphics Interchange Format) images using Smart Select and Air Command functions. The ability of translation allows user to convert language with ease. The new unified app lets users make handwritten notes, draw pictures and edit memos from a single location. 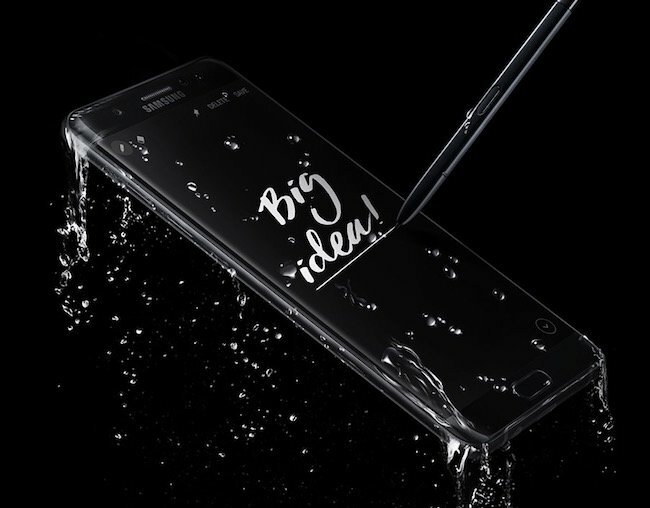 The S Pen can be used on wet screen as it is IP68 water resistant. It has a sharp and sensitive 0.7mm tip, which provides exact pressure on the screen and allows users to write or draw like a real pen. 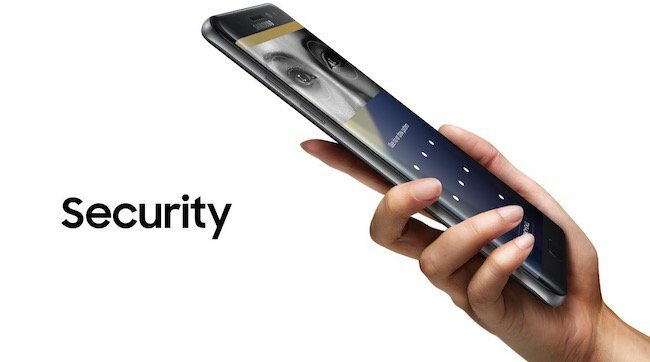 Samsung Galaxy Note 7 is the first phone which has the iris scanner to unlock the device. In addition, it has a fast fingerprint sensor which enhances its biometric authentication facility. According to the company the phone can recognize only one pair of iris and you can not use any high resolution picture of the owner’s eyes because it won’t have the similar infrared signature suppression. Hold your phone from the distance of approximately 10 inches. The process isn’t as fast as unlocking by fingerprint scanner, but much safer. 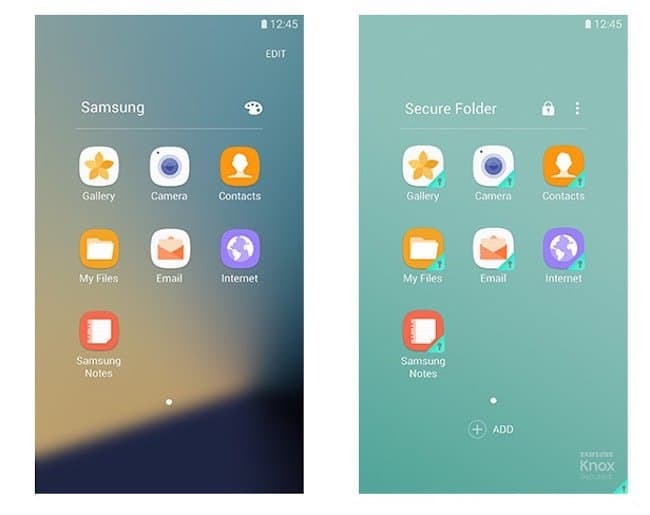 You can also create a secure folder to store your secret files, images and apps. The phone allows user to create a separate account to keep and use apps in the secure folder. Even if you give access to someone else on your phone, he/she won’t be able to open the secure folder because it requires the real user’s permission and will be unlocked with the eye scanner only. This technology makes the phone extremely secure and no one can use your data without your permission or in your absence. There is no language barrier anymore as the S pen includes the ability to translate the text in 38 languages. 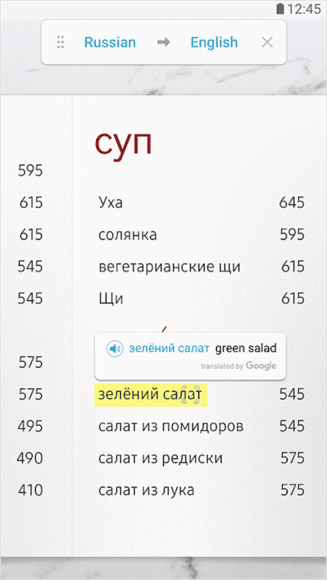 This feature can be activated by the Air Command function/menu which appears when you take out the pen and keep it near the text you want to translate. The Air command menu also enables magnify tool which can be used to zoom in anything up to 300% of its actual size on the screen. This technique is very useful for those who have weak eyesight. The new Samsung Galaxy Note 7 exceeds from its competitors in terms of display quality. 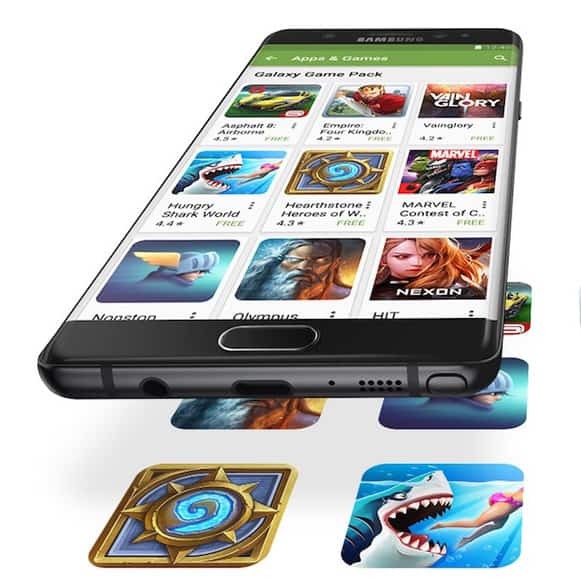 Galaxy Note 7 phone offers a nice looking beautifully curved 5.7 inch Quad High Definition Super AMOLED screen to provide more bright and eye-catching visuals. The display colour accuracy has improved a lot by enabling support to stream HDR videos which is not available on other phones at the movement. You can watch your favourite movies on your phone and get the cinema like viewing experience on your phone. The Galaxy Note7 has tie-up with Oculus to provide new Gear VR which allows user to experience high quality virtual reality. The new phone also features a Game Pack via Google play with new benefits. Users can discover from various apps, games and images from the library and enhance their entertainment level. The new Galaxy Note7 boasts an advance Gear 360 with high resolution of 3840 × 1920 pixels. 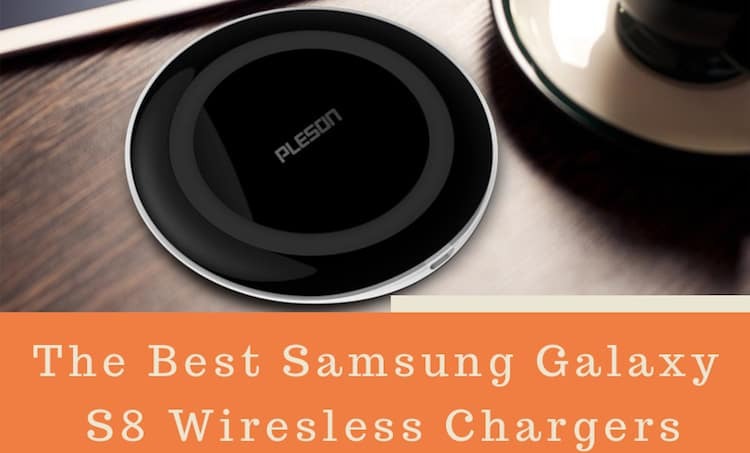 The camera provides a wide-angle of viewing and capable enough to capture 360-degree images and videos which can surely overwhelm you with pleasure. You can easily edit and share those images on your social networks and live through the memory again using dynamic Gear VR. The phone includes wide aperture lens and dual pixel autofocus technology for detailed and clear imaging at low light conditions. 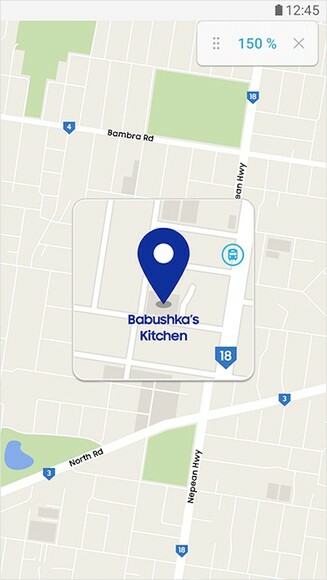 The phone also features the camera app to filter many motions and can be accessed from camera settings and modes. There is no use of pen if you don’t get a surface to use it. 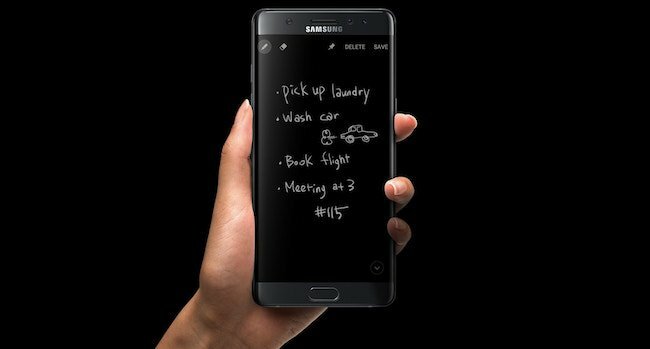 The Galaxy Note 7 includes a notepad which is very close to a real one. You can jot down your handwritten notes by pulling out your stylus without unlocking the phone and keep them on your home screen permanently. In order to prepare a list of useful things and remind them when required, you have no need to turn on the device and unlock the screen. There is no issue of space as you can scroll around to write more and insert various ink colours. All notes are combined in one app instead of four like earlier models. Samsung Galaxy Note 7 has a strong metal and glass body. Samsung challenges the limits of engineering with this new phone through its new innovative methods of designing. Nicely curved edges along with the surface provide solid grip and despite of having a large screen the phone is easy to handle with one hand. 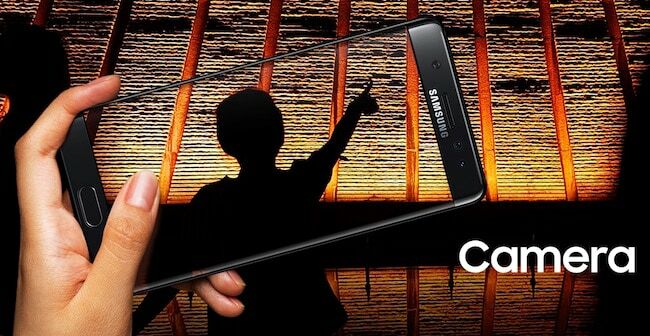 Samsung ensures its durability with Corning Gorilla Glass 5 protection. The phone has curved screen which allows the user to get access to applications faster and provide a better viewing experience. 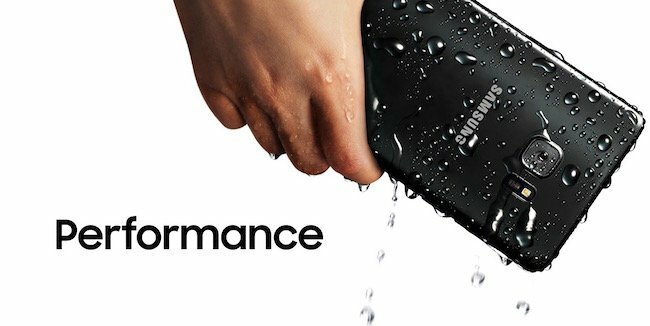 The new Samsung Galaxy Note 7 is water-resistant and can survive in 5 feet deep water for 30 minutes. The phone ships with IP68 rating, which stands for international protection marking and ensures saving from dust or water ingress. Having a waterproof body is essential for a premium smartphone like this because you can’t afford to lose it by just an accidental fall or sudden rain. The new Samsung Galaxy Note 7 offers 64GB internal memory which is expandable up to 256GB via a Micro SD card. The phone is powered by Qualcomm’s Snapdragon 820 SoC. The power efficient quad-core (2 x 2.15GHz cores + 2 x 1.6GHz cores) processor coupled with fast Adreno 530 GPU provide fast processing and high quality graphics. All variants of this new phone offer 4GB of RAM, Strong 3,500mAh battery, effective Power Management user experience design (UX) via Smart Manager, and quick charging facility through the new USB Type C port. So, these are all the best Samsung Galaxy Note 7 features that we liked about the phone and we hope you will like some of these features too in this phone. By introducing the new Galaxy Note 7 Samsung has taken the smartphone manufacturing to another level. The phone offers elegant design, top class security with Iris Scanner and enhance the entertainment experience with its high quality immersive multimedia. Samsung Galaxy Note 7 offers many innovative solutions to improve the usability of a smartphone in a user’s daily life. Meantime, do not forget to tell us about your favorite Samsung Galaxy Note 7 features that you’ll be using everyday after buying the phone.